We're a creative studio excelling in custom web design, graphic design and brand development. We work with a wide range of clientele including nonprofits, startups and larger businesses. We help our clients achieve results… by design. Branding, logo development, package design, social media graphics, and print collateral. Our creativity brings results. Mobile and user-friendly, content managed website, e-commerce, online magazine, blog, and email marketing... ecm can do it all. Wondering where to spend your limited marketing dollars? Let's talk. We can guide you through the social media maze. You can't afford to ignore it. ecm does a complete makeover of Tranquility Salon & Skin Care's website. 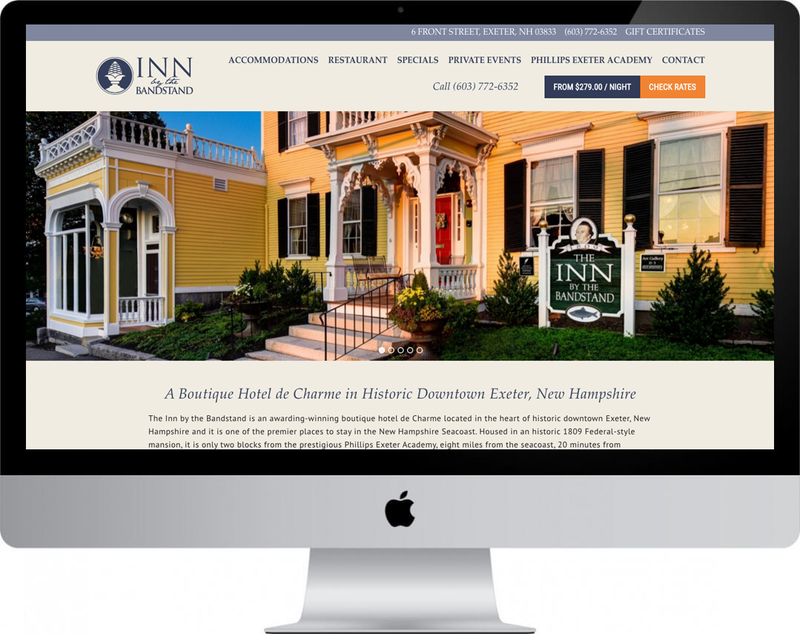 The Inn by the Bandstand is an awarding-winning boutique hotel de Charme located in the heart of historic downtown Exeter. ECM has been a great partner for us. They are not just a printing vendor for us, but a true partner that has given us real ideas to stand out. Their turnaround time is excellent and consistent, and the quality of finished product has really stood out. Highly recommended!